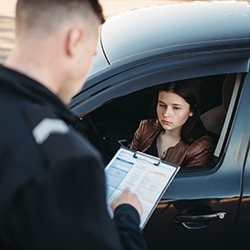 Mexico Auto Insurance became a legal requirement on for all vehicles traveling on Mexican federal highways on January 1, 2019. Flagstaff, AZ, January 10, 2019 --(PR.com)-- Beginning January 1, 2019, travel on Mexico Federal roadways requires Mexico auto insurance. Third party liability is the minimum requirement, according the updated law. Those without this coverage will face fines. The legal requirement for vehicle insurance began in 2014 when Mexico required model years 2011 and newer to have liability insurance. The Mexican government has progressively added older model cars to the list each year, culminating in this year’s update to the law that includes all vehicles. What does third-party liability mean? The first party is the insured and the third party is potentially everyone else. So third-party auto liability coverage is for damages that you may cause, with your vehicle, to other people's property, and also for bodily injuries to other people that you cause with your vehicle. The minimum required liability coverage is $100,000 pesos. However, many Mexican states modified their laws in 2013 to require higher death liability limits, many of which top out at $300,000 U.S. Mexpro recommends no less than $300,000 in liability coverage and suggests you consider more. This updated law is intended to protect those involved in the 1000 traffic accidents per day that occur on Mexico roadways, which are the highest cause of death among Mexican residents age 5 to 34. When choosing an auto insurer for Mexico, Mexpro suggests using A.M. Best A-rated insurers like ABA Seguros, El Aguila Compania Seguros, or Grupo Nacional Provincial (GNP). For more information on Mexico auto insurance or to get a quote, contact the Mexpro Mexico Insurance Professionals at 1-855-MEXPRO1 or www.Mexpro.com. Since 1999, Mexpro has provided top quality Mexico Insurance to over 100,000 visitors to Mexico each year. From multiple A-rated Mexico insurance companies, we provide the most competitive choices in coverage, price, underwriting and most importantly, financial stability. Our customer service team is unrivaled in the industry with years of experience, national licensing and superior knowledge in their field. Mexpro is licensed in all 50 US states. Whether you purchase online via our easy, speedy, secure online quote forms or by phone our mission is to offer the best experience possible for our Mexico insurance customers.